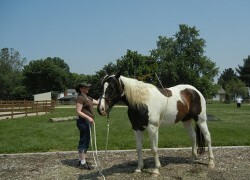 Strides to Success is so excited to introduce a new opportunity to equine assisted professionals. this unique immersion experience was an exclusive training immersion only available to HorseWork trainees but has now been opened to the public. We get phone calls every day from professionals who are just starting out to those who are looking to learn more about what we do. Well, now you can! This condensed immersion program is a one week intensive program designed to give you a peak behind the curtain at Strides to Success and learn side by side with our amazing staff. This is not for the faint of heart but is early mornings helping get the barn settled for the day, all day groups and one on one sessions with active clients, one on one time with Debbie and Blair and tucking the horses in bed at the end of the day. 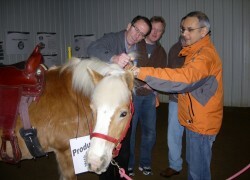 Learn more about our facilitation techniques in equine assisted learning, learn how we partner with mental health professionals, how we work with groups ranging from veterans to victims of trauma and more about the Strides business model. This opportunity is meant to be hands on but does not replace the HorseWork workshop content but rather, it shows you HOW it works. We don’t believe in operating in fish bowl and don’t allow “observers”. You will be part of the session. 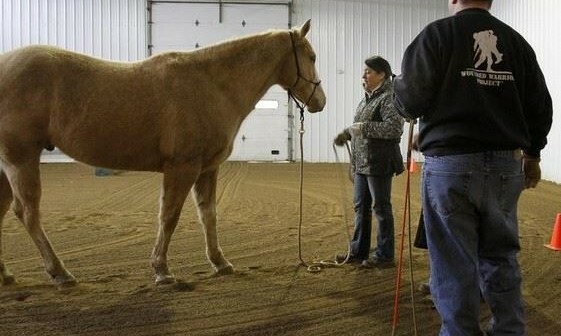 How much hands on horse time depends on your level of horse experience and certification status. This is considered a residential program, we have partner hotels where you can make arrangements. Our hotel partners will provide all transportation to and from the airport and to and from the barn daily, breakfast and dinner Mon-Thursday and a clean comfy bed to crash each night! Think about how much you can take back to your barn and apply? Interested? Complete this application and check the one week immersion option. We will reach out to you personally to help create a customized one week program experience. Begins on a Monday and goes through Saturday.